Thanks for joining us for episode 118 of The Ancestral RDs podcast. If you want to keep up with our podcasts, subscribe in iTunes and never miss an episode! Remember, please send us your question if you’d like us to answer it on the show. Today we are excited to be interviewing Justin Mares! Justin Mares is the co-founder of Kettle & Fire, the first shelf stable bone broth company. He started Kettle & Fire with his brother Nick after Nick suffered a serious knee injury and wanted to drink bone broth for recovery but couldn’t find any. Justin was formerly a tech guy and ran growth at Exceptional Cloud Services until acquisition by Rackspace in 2013. Bone broth is a beneficial addition to a healthy whole foods diet, but the time consuming process and messy cleanup are obstacles to many of us. Luckily, our guest today brings good news of a shelf stable bone broth made the traditional way providing all the health benefits without the hassle! Thanks for joining us for episode 117 of The Ancestral RDs podcast. If you want to keep up with our podcasts, subscribe in iTunes and never miss an episode! Remember, please send us your question if you’d like us to answer it on the show. Today we are very happy to be interviewing Tessie Tracy! Tessie Tracy is a Wellness Coach who has been an athlete since the age of four when she started gymnastics. This came with a unique set of challenges keeping up with her peers as she was born with a rare heart condition that makes intense exercise challenging. After defying the odds all the way through a collegiate cheerleading career, she was tempted into continuing her competitive career with bodybuilding but discovered that the restrictive eating and being judged solely on her appearance was not her true definition of health. Thanks for joining us for episode 116 of The Ancestral RDs podcast. If you want to keep up with our podcasts, subscribe in iTunes and never miss an episode! Remember, please send us your question if you’d like us to answer it on the show. “Can you give me some advice on being skinny fat? I’m 5’7” in my late 30s and weigh 115 to 120 pounds. I went through your Paleo Rehab program and have some HPA axis dysregulation as well as high estrogen and low progesterone and testosterone. I tend toward orthorexia and can easily go down to about 1,200 calories a day when I’m not tracking. Thanks for joining us for episode 115 of The Ancestral RDs podcast. If you want to keep up with our podcasts, subscribe in iTunes and never miss an episode! Remember, please send us your question if you’d like us to answer it on the show. Today we are thrilled to be interviewing Dr. Stephan Guyenet! Dr. Stephan Guyenet is an obesity researcher and health writer whose work ties together multiple fields of science to offer explanations and solutions for our global weight problem. He received a B.S. in biochemistry at the University of Virginia and a Ph.D. in neurobiology at the University of Washington. He’s the author of the popular health website StephanGuyenet.com, formerly called Whole Health Source, and he is a frequent lecturer on topics of obesity, metabolism, and diet history. The classic prescription for weight loss and maintenance is based on the basic principles of eating less calories and moving our bodies more. Seems simple, right? But we know that in reality there is more to the equation. Dr. Stephan Guyenet is here to explain the science behind how the brain’s influence on hunger and satiety can affect even our best of intentions for healthy eating and weight loss. Thanks for joining us for episode 114 of The Ancestral RDs podcast. If you want to keep up with our podcasts, subscribe in iTunes and never miss an episode! Remember, please send us your question if you’d like us to answer it on the show. Today we are excited to be interviewing Dr. Sylvia Tara! Dr. Sylvia Tara is the author of the book The Secret Life of Fat. Dr. Tara holds a Ph.D. in Biochemistry from the University of California at San Diego and an MBA from the Wharton School of the University of Pennsylvania. She was a consultant with McKinsey & Company and has worked with the world’s largest biotechnology companies. She lives in the Los Angeles area. When we think about body fat, the first thing that usually comes to mind is the areas of our bodies that we would like to shrink and how difficult it can be to do so. But did you know that body fat is much more than a storage site that contains evidence of eating too much and exercising too little? This episode is a must for anyone open to a new understanding and appreciation of fat and the differing proportions of it on people’s bodies. Thanks for joining us for episode 113 of The Ancestral RDs podcast. If you want to keep up with our podcasts, subscribe in iTunes and never miss an episode! Remember, please send us your question if you’d like us to answer it on the show. Thanks for joining us for episode 112 of The Ancestral RDs podcast. If you want to keep up with our podcasts, subscribe in iTunes and never miss an episode! Remember, please send us your question if you’d like us to answer it on the show. Today we are excited to be interviewing Eileen Laird! Eileen Laird is a writer, podcast host, and autoimmune warrior who manages rheumatoid arthritis with the help of the autoimmune paleo diet and lifestyle. She’s the author of the book, A Simple Guide to the Paleo Autoimmune Protocol and the editor of the popular Paleo AIP Instant Pot E-Cookbook. Her popular blog, Phoenix Helix, receives over 1.5 million unique visitors annually. There, she features recipes, research, and personal stories about the autoimmune experience. She also hosts the Phoenix Helix Podcast, the first paleo podcast to focus 100% on autoimmune health. You can find her at PhoenixHelix.com. Today’s podcast provides to those with autoimmune disease hope and inspiration to live an empowered life. Eileen shares her journey of reclaiming her life from rheumatoid arthritis by combining diet and lifestyle changes with conventional medicine. Listen as we discuss with Eileen her personal experience with the autoimmune paleo diet and what she finds to be the biggest mistake people make when starting. Thanks for joining us for episode 111 of The Ancestral RDs podcast. If you want to keep up with our podcasts, subscribe in iTunes and never miss an episode! Remember, please send us your question if you’d like us to answer it on the show. Thanks for joining us for episode 110 of The Ancestral RDs podcast. If you want to keep up with our podcasts, subscribe in iTunes and never miss an episode! Remember, please send us your question if you’d like us to answer it on the show. Today we are super excited to be interviewing Dr. Jolene Brighten! Dr. Jolene Brighten is a Functional Medicine Naturopathic Doctor, herbalist, bestselling author, speaker, and mother. Dr. Brighten earned her doctorate in Naturopathic Medicine from the National College of Natural Medicine. She received her Bachelor’s Degree in Nutrition Science and completed graduate coursework in molecular nutrition at Cal Poly, San Luis Obispo. Dr. Brighten is renowned women’s hormone and autoimmune disease expert who takes a root cause approach to help women reverse disease and fall back in love with their life. She supports women struggling with hormonal imbalances including adrenal and thyroid, autoimmune conditions and digestive disorders. In her patient centered practice, Dr. Brighten thrives on navigating the space between conventional and alternative medicine, all while working with patients to help them achieve optimum balance, health, and happiness. The birth control pill is so commonplace in our society that not many of us think too much about it when prescribed. Thanks for joining us for episode 109 of The Ancestral RDs podcast. If you want to keep up with our podcasts, subscribe in iTunes and never miss an episode! Remember, please send us your question if you’d like us to answer it on the show. Today we are thrilled to be interviewing Sarah Vance! Sarah Vance is a body image and self-worth coach, host of the Reclaiming You Podcast, and creator of the life changing Breaking Boundaries program. She specializes in helping women all over the world let go of diet dogma, body hate, perfection and all or nothing thinking so they can step into the badass woman within feeling worthy, confident, loved, free, and enough in whatever body they have. Grab your taste of freedom with “5 Mindshifts to Embrace Your Body and Have Food Freedom” at SarahVance.com. 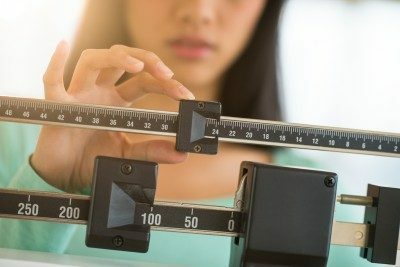 The body positivity movement is gaining momentum in our society that assigns value to a person based on appearance and where thinness is the ideal. Sarah Vance has gone through the process of freeing herself from a life fighting against her body and now empowers others as well to live in the freedom of body acceptance.